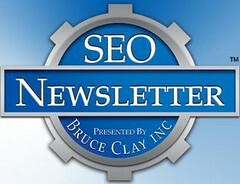 The SEO Newsletter touched down in your inbox and on our site this afternoon. Feel free to subscribe if you enjoy a healthy monthly dose of comprehensive Internet marketing news and articles. For those who require a little persuasion before committing precious time to an article, this is what you can look forward to in this month’s featured articles. BC’s senior tech writer Paula Allen covers the bases of optimizing press releases. From SEO considerations to the distribution channels that will give you the most bang for your buck to tips for attracting social media visibility, look no further for an intro guide to search engine optimization through public relations. This Wednesday, TopRank Online Marketing‘s Lee Odden will be presenting a webinar in partnership with RPWeb. The webinar, Using Your News to Drive SEO, will focus on tactics to take advantage of news search and the potential traffic it can generate. As mentioned in the article, social media marketing can be connected to online PR with stellar results. Once your press release is live, don’t forget to monitor the buzz. There are plenty of resources out there to help get your creative juices flowing. Copyblogger has explained how the rule of three is a magic number for engagement, bringing storytelling, stickiness and humor to a whole new level. In fact, I think crafting your content around any number helps draw in eyeballs. As David Snyder of Search & Social points out, there are no hard rules (or ethics) in social media. The key is to have an idea of what works in your niche and with people in general. So there’s your taste of what’s going on in this month’s newsletter. If I’ve whet your appetite, turns out these topics and more are covered in great detail in our upcoming SEO All-In-One Desk Reference for Dummies. When the time comes, you can bet we’ll be sharing our big news through PR channels and engagement objects. ‘Cause hey, even a two-inch thick instructional manual can be engaging. The book for dummies has always been a good source since then. I will pre-order my copy. I have a VTC CD-Rom SEO training course from 2006, and whilst it seems very vague and basic, the general theme of all the tutorials is still, in my opinion, good practice. I think the only thing that can become dated/irrelevant with books and CD-Roms, are recommendations of focusing on specific areas of SEO activity (like article writing etc). Books are indeed very tricky like that! But we believe many of the best practices outlined will stand the test of time — at least for a while. ;) The book is scheduled for release on April 27 and is available for pre-sale now! Your new SEO for dummies book looks great, is this your first edition at writing the ‘for dummies’ books? I’ve got Peter Kent’s edition which is great, but as with all SEO books, they can become dated with respect to the importance of certain factors. When does your edition go on sale?